Keep seafood chilled at just the right temperature with the Nantucket seafood bucket from Fox Run. 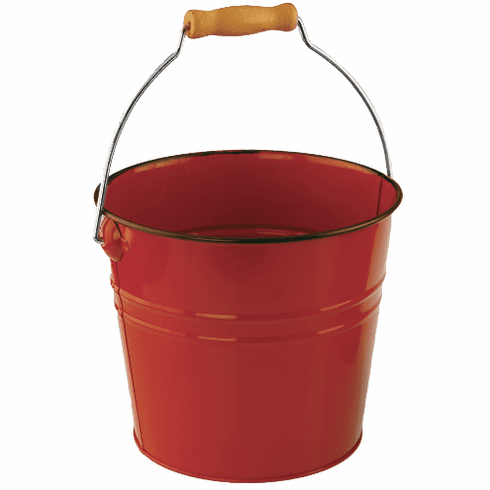 This fire engine red pail is perfect for holding ice and seafood and features a very sturdy construction. It is the perfect accessory for outdoor and indoor entertaining, especially when you need to keep extra goodies chilled. The handles are large and easy to grasp while the narrowness of the pail helps to make it easy to store. Measures 7" dia and 6" deep.